The December issue of Homeschooling Teen magazine is online at HomeschoolingTeen.com! This month we have two articles on unique scholarship opportunities! Have you ever heard of the “Make It With Wool” award? Or the American Fire Sprinkler $2,000 scholarship contest? Caela Fox, journalism student at ASU’s Walter Cronkite School, covers the Thanksgiving football games and reports on Mark Weinhold, a senior homeschool athlete. The featured homeschool-friendly college for this month is Eastern Kentucky University. Narrelle describes her experiences in Congressional Debate, and Alifia tells about the lessons she learned from her first archery competition. Olyvea and Ethan answer readers’ questions about homeschooling and holidays, and Nick gives advice on what games to get for Christmas. Tab reviews the Zoombinis reboot, and Naomi reviews the book Reckless Faith by John MacArthur. And finally, Super Searcher lists his top 5 favorite animes, in what will be his last anime review. This has been one of our longest-running columns, written by two brothers for the past 6 years. So it will be kind of like the end of an era not having it anymore. If someone else wants to take over the anime reviews, please contact mail@homeschoolingteen.com. Homeschooling Teen magazine wishes all of our readers a very Merry Christmas! Learn about some unique scholarship awards available to students. A college student’s wardrobe needs are much different from that of a high school student. If you like flying drones, this is the career for you! A poem by Alesha Dodd. The sooner you start preparing, the better your chances of getting into a good law school and succeeding. Congressional debate offers meaningful debate, unparalleled fun, and connection to a national community. In today’s world, it pays to choose a major that will be beneficial to you in terms of personal enjoyment, as well as career advancement. If you are interested in computers, technology, or engineering, then take a look at these four degree opportunities. Travelling when you have no money is an adventure of its own. Do you blindly trust in faith, or seek the real truth? There are many animes that I like, but I think these are the best. Love for the old book smell is so universal that you can actually buy the fragrance! Learn the science behind the odor of old books. If this copy has been forwarded to you and you would like to have Homeschooling Teen Magazine sent directly to your inbox each month: 1. Go to http://www.HomeschoolingTeen.com. 2. Type your e-mail address into the sign-up form in the right sidebar (below the Facebook “Like” box). 3. You will receive a confirmation email. Once you click “Confirm,” you will be notified of every future issue by e-mail (each containing a link to Manage Subscriptions, so you can unsubscribe at any time). Rest assured, we will never sell or share your e-mail address with any third party. Don’t miss a single issue of Homeschooling Teen Magazine. Subscribe today! 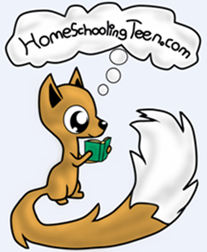 Homeschooling Teen Magazine – Subscribe for FREE!